Home » Why Do You Need To Hire Company Secretarial Services in Singapore? Every business owner should know that a company secretary service is very important to ensure the smooth functioning of the board procedures and business performance improvement. This role is to act as head of administrator in the company. In term of comply the rules. Yes!!! It is aMustfor every company in Singapore to appoint a company secretary within 6 months of incorporation. Besides that, the company secretary must have the domain knowledge and responsibility to ensure all regulatory compliances. Usually, most of the companies in Singapore will outsource the mandatory company secretary requirement to company incorporation specialists. 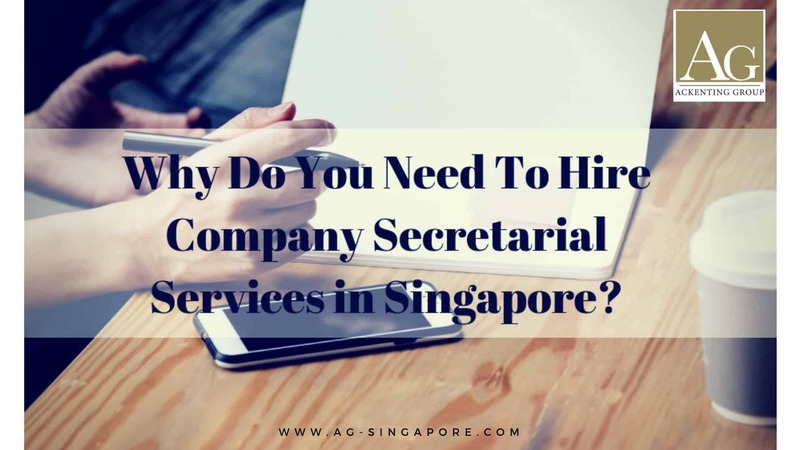 Apart from complying the rules, when you hiring a professional corporate secretary in Singapore, its save up a company times on secretarial functions, which eventually can be spent on improving the core company activities. Here are some reasons why you should consider using this service. When people hire a professional secretary service, the first consideration for the business owner is the service should finish all the jobs effectively and complete in a quick way. Most of the company owners frustrated how to reduce the time spend on the secretarial paper works. Outsource a secretarial service is one of the best ways to complete these task effectively. Because the team usually well trained well and experience to handle documents and paper works. Therefore all tasks relating to the secretary can be done very quickly with neat organization. This one of the mina benefit that business owner can get from outsourcing of this service. When they hire this service, they don’t have to worry about budgeting on training session with their employees or secretaries. In another way, the company owner can save their budget that provides for the training. Most of the professional secretaries have the proper knowledge and skillset to handle the scope. Taxing is very important for running a company in Singapore. Any delay or faulty document submission might cost you a lot of unwanted lost. Therefore it becomes one of the most popular topics among many business owners today. However, not all of the business owners know how to handle their tax document well. They usually hire tax consultants or corporate secretarial services. Most of these professionals usually expert on handle all tax documents properly, and submit all required documents to the officials. By outsourcing the secretarial service, you could save a lot of overhead cost by hiring long-term employees. Besides that, you can reduce your cost significantly in the matters of office space and equipment, since the outsourcing company will provide all these. This is the best way that to use the saved amount to improve your core business development and other business model help in company growth.